Billbergia x Muriel Waterman is an old hybrid of excellent quality, created by Foster in 1946. 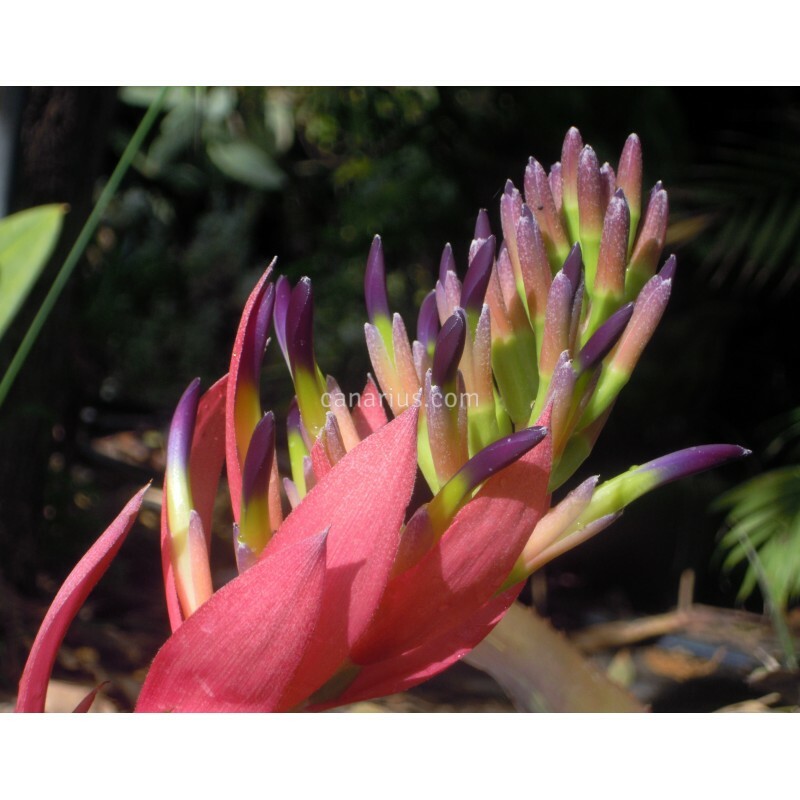 It is a tube-like bromeliad with pink-purple leaves, banded in silvery-white, 30-40 cm tall. 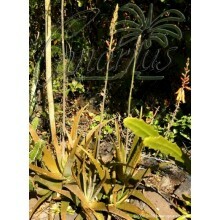 The short-lasting inflorescence has incredible colours, but leaves are very beautiful, even alone. Give it bright shade or morning sun. This new hybrid was made in 1946 and flowered in 1950 for the first time. 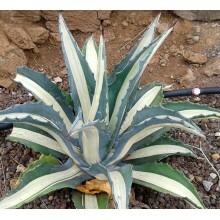 It is certainly a most striking and stunning plant whether in flower or not. The semi-nodding inflorescence does not carry the delicate pastel colors of pink and blue that was the contribution of B. euphemia var. purpurea because the transparent blue-green petals of B. horrida var. 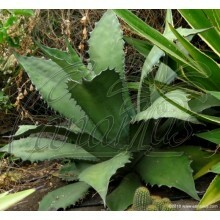 tigrina pulled them down to a more earthy combination of dull pink bracts and steel blue flowers. 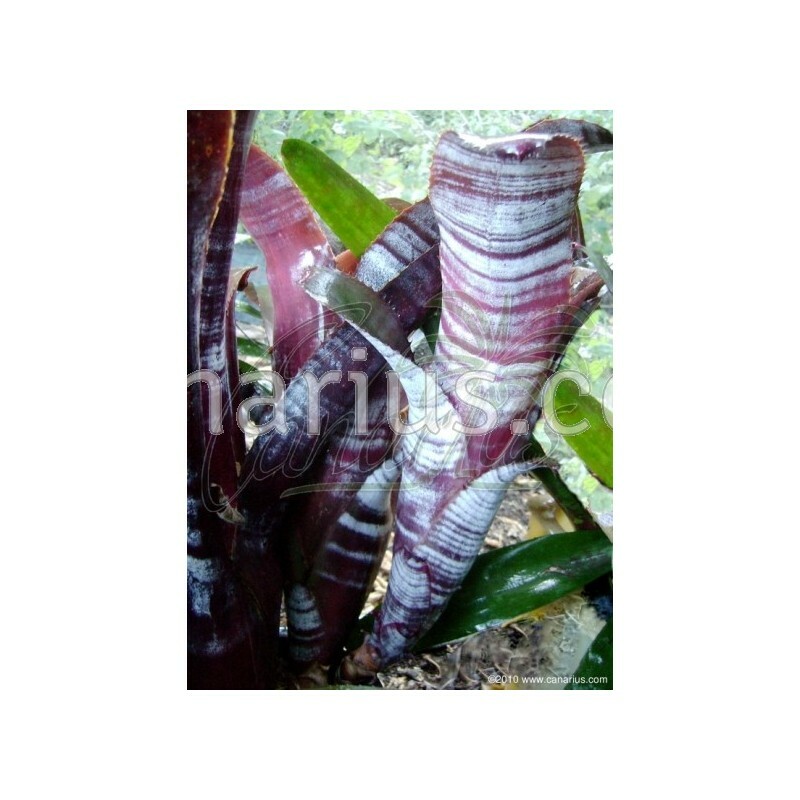 Every compensation was made, however, to a complete climax in the combination of the reddish purple leaved Euphemia which created a blend of a rich plum colored background highlighted with vivid silver grey bands which were donated by B. horrida. Read the full text here. 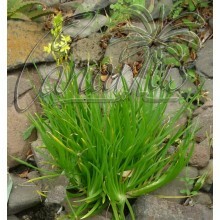 We offer one robust rooted pup of Billbergia x Muriel Waterman, of 20-25 cm, able to flower in one year. We ship it worldwide.